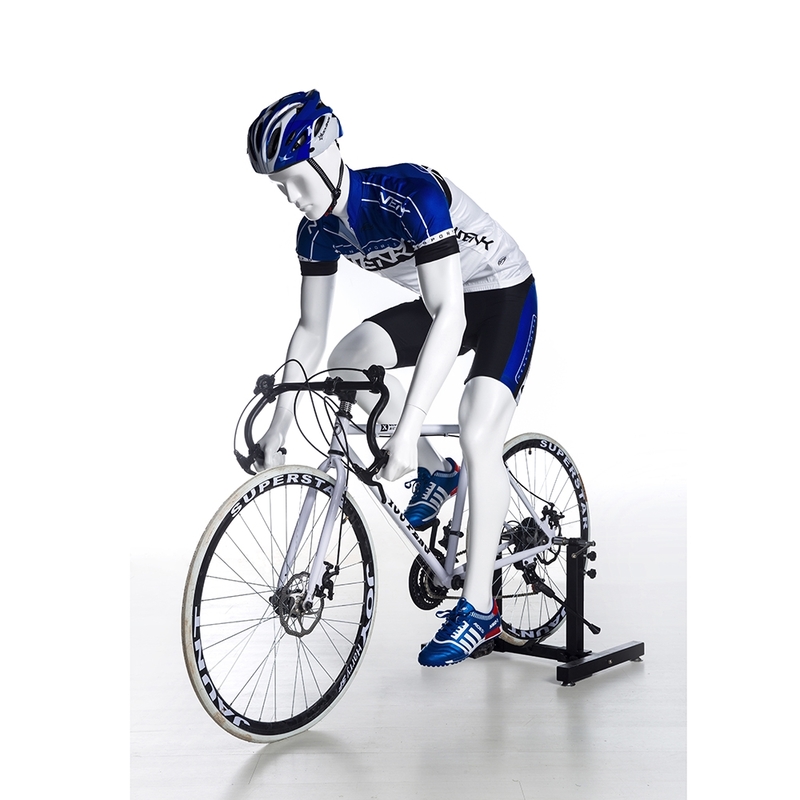 Sporty male cyclist mannequin in glossy white with abstract facial features. He is in an intense racing pose. Made of fiberglass. 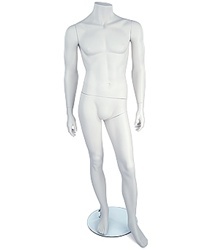 Square metal base included. Bicycle NOT included.